Anisha trains farmers in organic farming methods that save them money and bring health and fertility to their soil. Using readily available materials, such as cow urine, manure, and dead leaves, Anisha teaches farmers how to make organic fertilizers, pesticides and compost. These trainings cover practical methods, giving farmers an option to use the techniques that work best for their resources and land. Trainings occur during the meetings of Anisha’s community self-help groups or at its Resource Center. 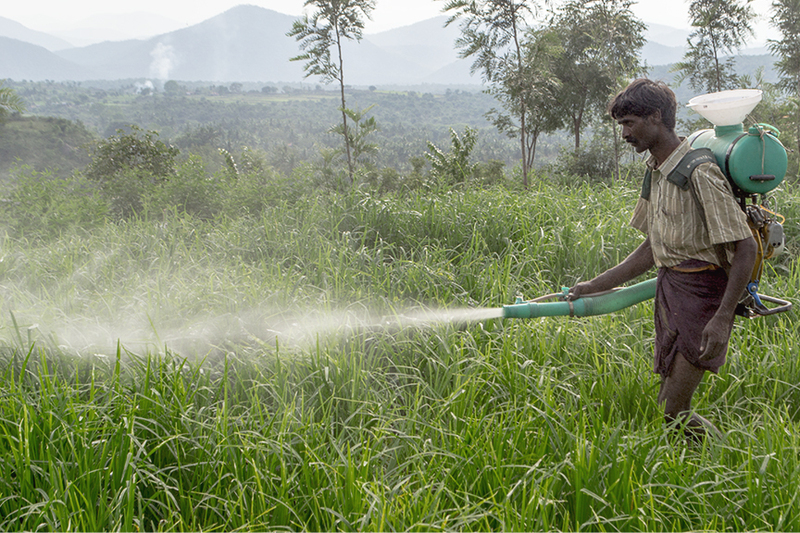 Over 1,000 farmers in the region have been trained in organic techniques since Anisha started its programmes in 2008..
Naganah, Anisha's groundskeeper, sprays a completely organic pesticide on the crops. Anisha trains farmers to make this pesticide, which consists of ingredients that are found on all farms. 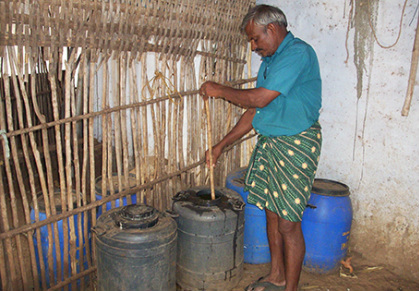 John Joseph, a farmer in Anisha's programs, checks on one of the several types of organic fertilizers and pesticides he has made.